Pay the Examination Fee Through SBI I Collect Fee Debit/ Credit Card, Net Banking Or E Challan Only on or before 19 Apr 2018. On the basis of Written Examination and Physical Test. 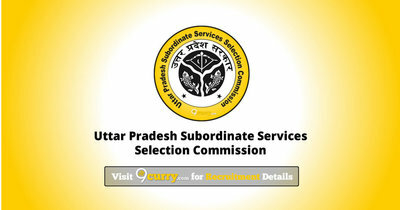 Eligible candidates may apply online at UPSSSC's website (direct link is given below) from 13th Mar 2018 to 17th Apr 2018. Candidates log on to http://upsssc.gov.in/.